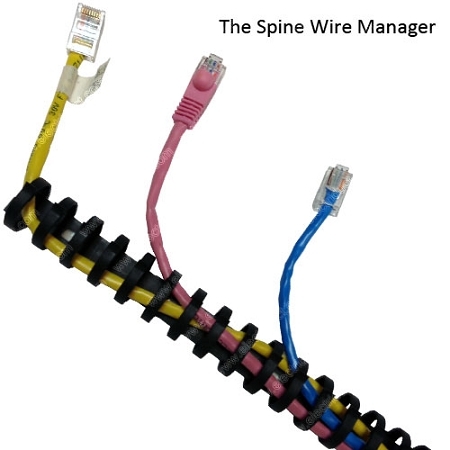 Unique and fully functional, The Spine Wire Manager features 40 flared fingers to hold and route loose cables around desks, along wall in entertainment systems. 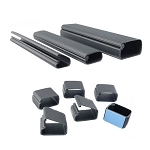 Made from PVC plastic, the durable and flexible cable manager has an adhesive backing to stick horizontally or vertically, and mounting holes for permanent fixture. 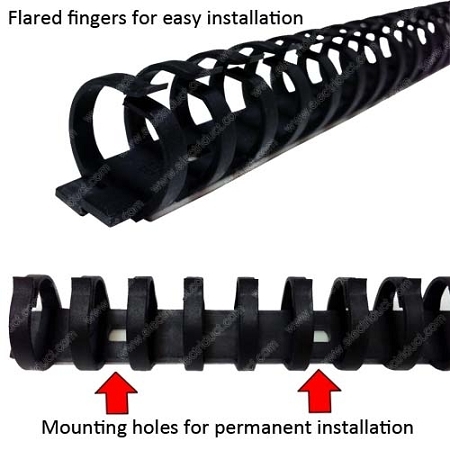 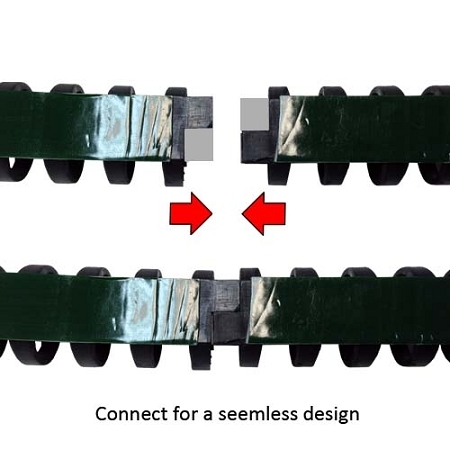 At 19 inches of useable raceway, The Spine Wire Manager can work with 19" format server racks and the interlocking connector makes this wire manager surface raceway infinitely extendable.